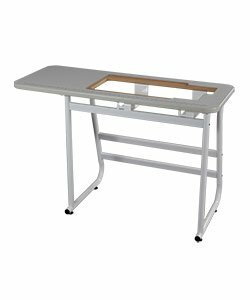 The Universal Sewing Table has all the conveniences of a custom fit sewing table, without the hassle and expense of buying a machine-specific table. NO SIDE DRAWER You have the option of three different size machine inserts to fit your machine perfectly. And with a table surface of 45" x 17.5", there is sure to be ample room for even large quilting projects.